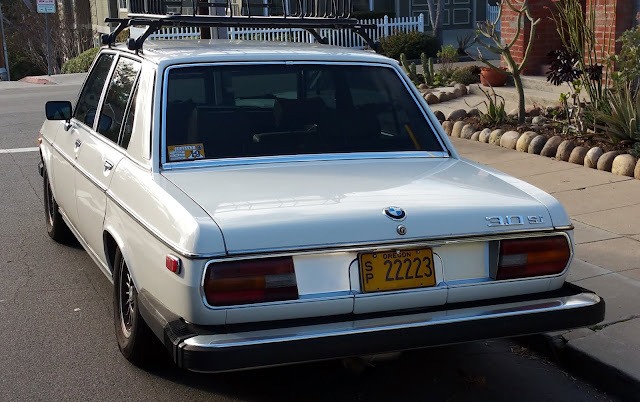 Just A Car Guy: Ist time I've seen "Special Plates" from Oregon. They don't seem to have an expiration sticker. Special Interest, with a good description of the requirements towards the bottom of the link. General Information: This plate is issued to a vehicle that is maintained as a collector's item and is at least 25 years old at the time of application, a vehicle sanctioned as a vehicle of special interest by an established organization that provides for recognition, or is a street rod as defined by ORS 801.513. 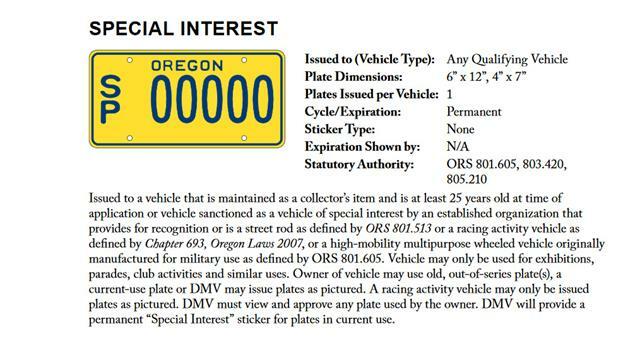 This plate is also issued to a vehicle that is a racing activity vehicle as defined in Oregon law. Vehicles may only be used for exhibitions, parades, club activities and similar uses. Plate Fees: $12 (one plate issued). Available For: Passenger Vehicles, Motor Homes, Buses, Mopeds, Motorcycles, Trucks, Travel Trailers, Campers, Special Use Trailers, Heavy Trailers and Light Trailers. Special Interest plate. 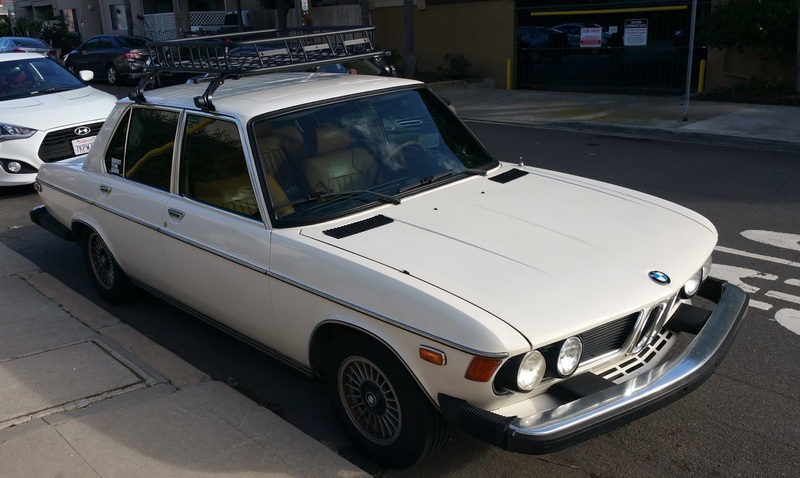 With a few restrictions (supposed to be used for car shows, not daily use) you can put them on anything over 25 years old and it's good for as long as you own the vehicle. Can be used on cars, trucks, big rigs, travel trailers, motorcycles, etc. Oregon also has an Antique plate that has the same restrictions, and can be used on anything at least half as old as the auto industry, which Oregon figures started in 1900. So in 2019 anything older than 1959....next year it will be anything older than 1960. 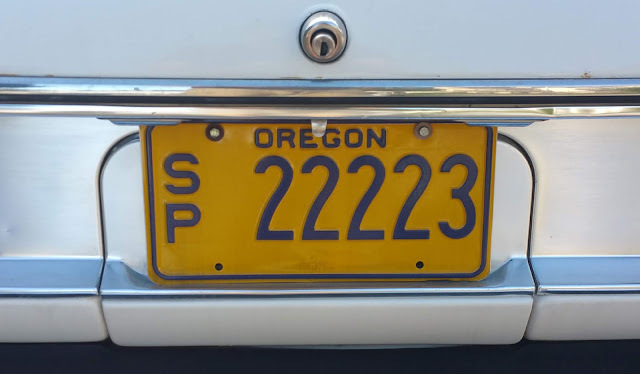 I have SP plates on my crappy old 1990 Suburban, because it's a one-time registration and Oregon already gets more than enough of my money via fees and taxes. Link to the Suburban we call The Crummy. Old Forest Service rig, 4-speed with a 2-speed Ranger overdrive (8 forward/2 reverse) 2wd with a 4.10 and dual A/C. A great around town beater. Special interest 25 yrs.or older same as historic plates other states use. Special Interest registration is permanent and only one plate is issued. special interest plates, collector car over 25 yrs old, also other uses. Not to be used for transportation other than club runs, etc. It looks like a county designation. Kansas used to do that. A stacked 2 letter indictor of which county the vehicle was registered in. For years I had plates with a GT on them. • You must submit a Special Interest Vehicle Declaration with your title or registration application. 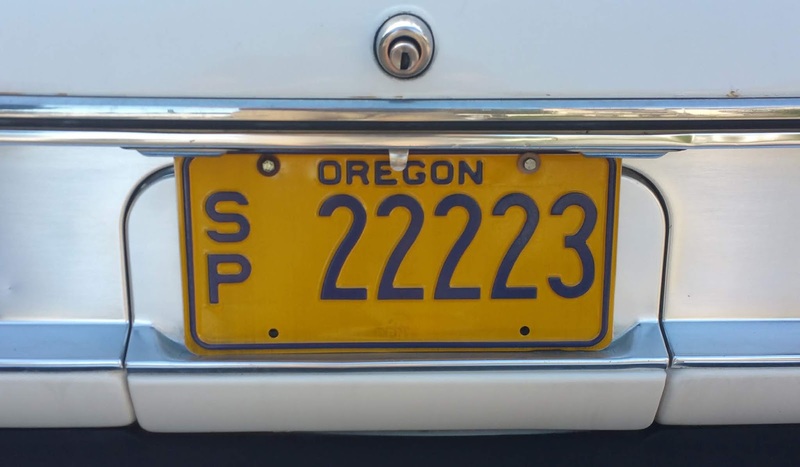 The Oregon Driver and Motor Vehicle Services Division (DMV) allows you to personalize your license plate with your own custom letter and number combination. Only the standard Oregon license plate and some special registration plates can be personalized. Your custom tag number must: Be 1 to 6 characters long, plus a space or hyphen if desired.